NOIDA, (31/1/2019): The government will unveil its budget for the 2019-20 fiscal year on Friday, with investors expecting increased investment in areas such as agriculture. After a string of recent setbacks in key state elections for Modi`s Bharatiya Janata Party (BJP), the government is expected to woo rural and urban middle-class voters via farm relief measures and tax cuts. Corporate tax rate cut to 25 percent from 30 percent and Higher tax exemptions for the middle class and for small businesses are anticipated. Regarding the Interim Budget, Ten News Team roamed around the market of sector 18, Noida, to know about the expectations of the shop owners. 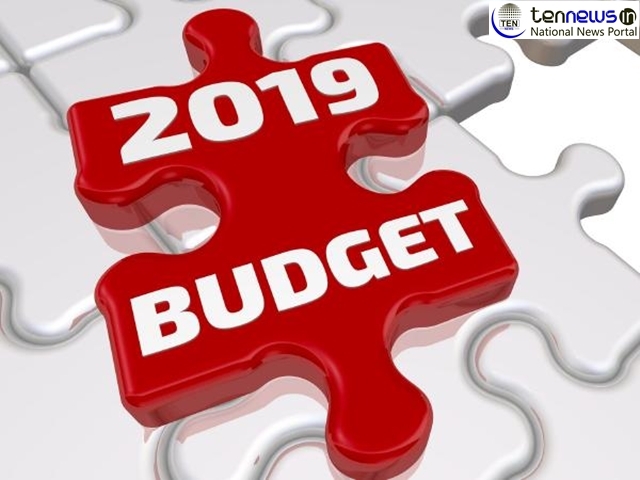 When asked about the expectation they have from the budget, shop owners said that, “the government should focus upon reducing the tax collected from the small businesses”. Some of them said that “there should be only one tax, no GST, no other tax, but only one tax that should be paid by the people”. One of the shop owner said “it will take time to make people realize that the decisions taken by Modiji, are only beneficial for the country in the longer period of time”. After the shopkeepers of Sector 18, Ten News Team reached the general public to know what are their expectations from the budget of this year. When asked about their expectations, people said, “we want that government should reduce the tax percentage and also reduce the rates of household products”. Many of them suggested that “the government should increase the basic exemption limit to 5 lakhs. When asked about the overall performance of Modi Government, people responded in a positive way and said that, “we want that Modi government should win and present budget for many years to come”. Now we will have to wait till tomorrow to see whether the Modi Government will be able to meet the expectations of the people or not?